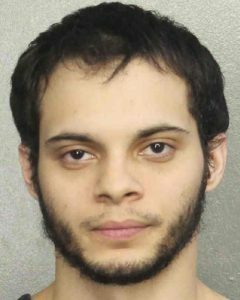 Five (5) people are dead and 13 others wounded after Esteban Santiago shot them with a handgun inside the baggage claim area of the Fort Lauderdale (Florida) Airport Friday (1/06/2017). The FBI got one thing right: like all sharia adherent muslims, Santiago is not mentally aligned with civilized society. Santiago’s family said he “lost his mind,” and says he has never been the same since he came back from Iraq. This may all be true. But it begs some questions. 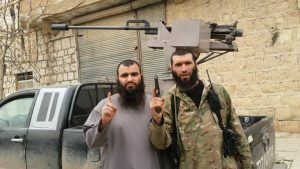 Photos of Santiago show him with a sharia compliant beard, wearing an olive drab keffiyeh flashing his index finger, the same sign ISIS and others jihadis flash demonstrating their belief in Islamic Tawheed, the oneness of allah. Santiago told the FBI he heard voices telling him to watch ISIS videos, and the FBI determined that qualified him for the title “mentally ill.” Muslims around the world teach their children jihad must be waged against non-muslims until Islam rules the world. They teach this because it is what the Koran commands and what Islam’s prophet Mohammad commanded and worked for as well. 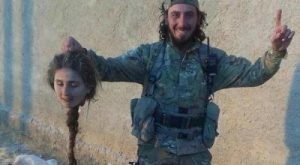 Crucifixion, beheadings, amputations, whipping and other punishments are a part of sharia because allah commands them in the Koran. Considering all this, it is not unreasonable for sane people to consider adherents of sharia mentally unstable or insane, even though they are sincerely following doctrinal Islam. 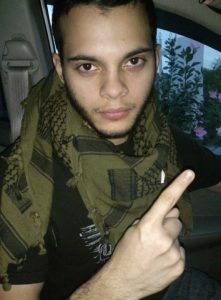 It is worth noting that Esteban Santiago was sane enough to know that when he ran out of bullets at the Fort Lauderdale airport he should lay on the ground to keep from getting shot by police. Given the Muslim Brotherhood’s “recommended” policy of dissimulation by sharia-adherent Muslims respecting inquiries by the FBI, which due to sequester by its (thus treasonous) Director of precisely the 1600 pages of operational & training data his Special Agents require to investigate Muslims, active & potential jihadi terrorists and Islam, it shouldn’t come as a surprise if methods-of-operation (MO’s) in the future, I.e. at the threshold stage of a pre-planned attack may also be preceded by assertions of persecution under-color-of-law in order to legitimize an eventual insanity plea, particularly in view of the bureaucratic “handcuffs” impinging on the decisions of FBI field office Agents-in-Charge with regard to releasing or holding a suspect; I.e., while the rank & file of the bureau adhere to the rule of law, the directors of the CIA, FBI, and Islamic barbarians – for the time being at least – clearly do not. 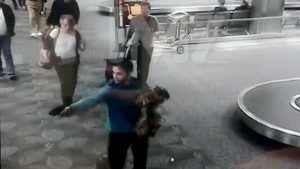 The failings of our security continue, he should never have been given his weapon back and should have been put on a no-fly list and every other precaution taken to observe his movements until he was investigated sufficiently to know his terrorist ties. Then lawful steps would have been taken to incarcerate him and put the public out of danger. May I suggest that the root cause of their mental issues are spiritual? When folks worship and serve Satan with their whole being, they quickly become very unstable.